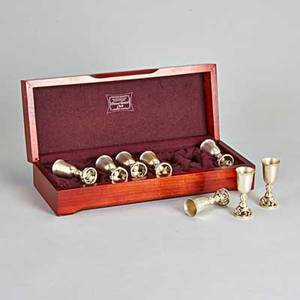 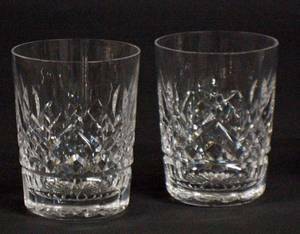 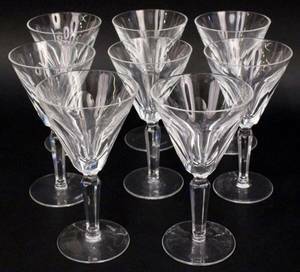 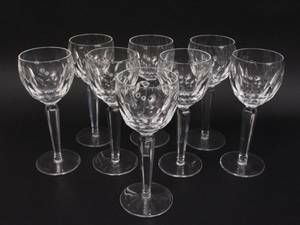 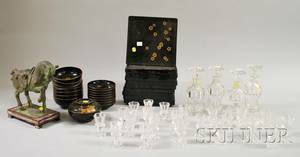 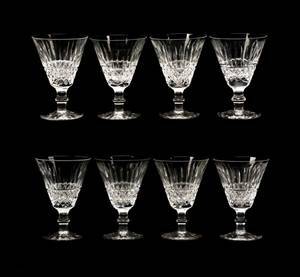 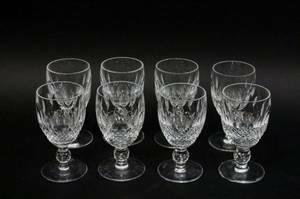 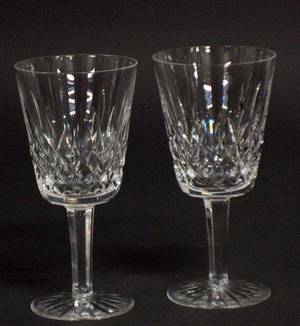 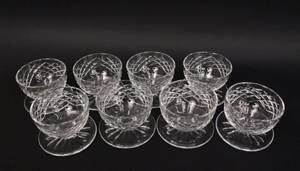 Set of eight Waterford crystal footed cordials in Colleen pattern. 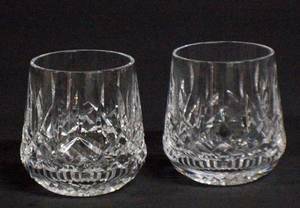 Most marked on bottom "Waterford". 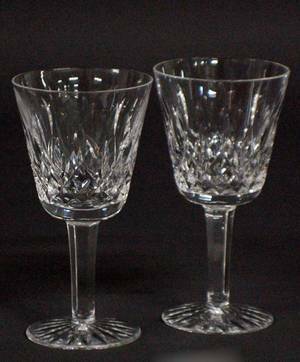 Height 4.5", diameter of top 2.25".